Organic Liver Support With Livatrex! 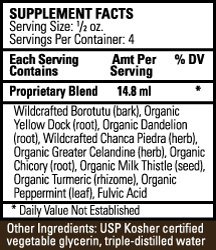 Herbs are Organic / Wildcrafted Under Organic Conditions | MADE IN THE U.S.A.
Livatrex is a 100% all natural blend of powerful organic and wildcrafted herbs using the Spagyrex® process and specially formulated to support normal function and detoxification of the liver and gallbladder. Supporting your liver is a natural process designed to detoxify, flush and purge the liver of fatty deposits, built up toxins, and accumulated stones. Liver stones emerge when excess lipids crystallize into small pebble size stones. Helps support overall body detoxification. Supports and rejuvenates energy levels. National Center for Health Statistics indicate that chronic liver diseases are among the most common causes of death in the United States. Close to 26,000 people in the USA die each year from cirrhosis. The American Liver Foundation warns that alcohol abuse contributes to most incidences of cirrhosis. Up to 20% of the population has liver stones and gallstones. An unhealthy diet is a major contributor to many liver concerns as well as toxic buildup in the liver. There are more than 900 prescription drugs that can injure the liver. 80% of all cases of liver toxicity are caused by drug reactions. 29 million Americans currently have nonalcoholic fatty liver disease. Helps the liver to efficiently break down fats. Supports extra energy and vitality. Supports healthy memory and clarity. Livatrex is the only liver support product on the market which uses a Spagyrex processed blend of powerful herbs that support detoxification and normal function of the liver and gallbladder. These herbs work synergistically to soften and break down stones. Our trained customer service team is available to answer questions. Livatrex comes with a no-questions-asked, money back guarantee. Greater Celandine is often used to assist with liver and gallbladder support. Studies suggest Milk Thistle Seed supports optimal liver function. Milk Thistle Seed shows promise in stimulating the liver's ability to produce bile for normal digestive function. Fulvic acid acts as a nutrient supercharger to boost bioavailability and absorption. Cleansing: For use with the Optimum Wellness Liver Cleanse (see instruction section) pour the entire bottle of Livatrex into 1-gallon glass container of organic apple juice or distilled water. On days 1-4 of the Optimum Wellness Liver/Gallbladder Cleanse drink one 8-oz. glass (use glass, not plastic) 4-times daily between meals. On day 5 follow Liver Cleanse instructions at Optimum Wellness Liver Cleanse. Maintenance: Mix two droppers-full with 4 ounces of organic apple juice or purified water. Drink before breakfast on empty stomach two-three times weekly. For the complete, 5 day liver cleanse program instructions, please see the instructions tab on the Liver Cleanse Kit page. Maksimović Z, Kovacević N, Lakusić B, Cebović T. Antioxidant activity of yellow dock (Rumex crispus L., Polygonaceae) fruit extract. Phytother Res. 2011 Jan;25(1):101-5. doi: 10.1002/ptr.3234. González-Castejón M, Visioli F, Rodriguez-Casado A. Diverse biological activities of dandelion. Nutr Rev. 2012 Sep;70(9):534-47. doi: 10.1111/j.1753-4887.2012.00509.x. Epub 2012 Aug 17. Review. Do I need other supplements with Livatrex? 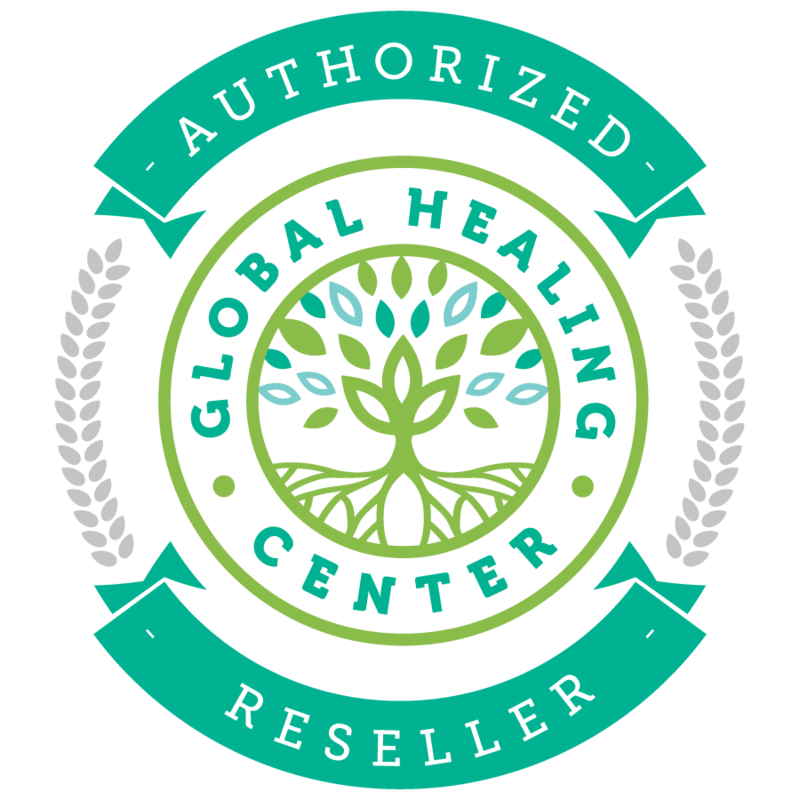 No other supplements are required but if you're looking for a complete liver cleanse experience, consider the liver cleanse kit. Will I experience a healing crisis when using Livatrex? A healing crisis describes a phenomenon that may occur during cleansing where you feel worse during your cleanse than before you started. This is due to toxins being "dislodged" as they're processed for removal. Fatigue, headache, minor rash, lack of mental clarity, joint or muscle ache, irritability, difficulty sleeping, or mood swings are common complaints and often subside within a few days. Drink plenty of purified water to help your body flush the toxins. How do I know when the toxins are out of my body? Results vary, however most people report the best experience from performing three liver cleanses in succession.